1. 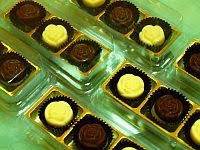 Please make your choice of pattern, theme color, filling, flavor and quantity. 2. All order below 500 of quantity must be made 2 weeks in advance. And 1 month for bulk. 3. Please email to mybabysbucket@gmail.com or call 012-6631336 to place your order. 4. Once confirmed, kindly bank in 50% for deposit to any of bank account below. 5. Please clear the balance before we courier the order out. We will notify you the tracking number. A token of Appreciation for NICU Staff Selayang Hospital for their generosity and kindness. 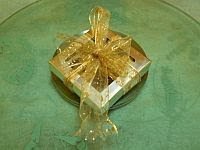 Proudly sponsored 30 set of Double Love Choc with Almond Nib as door gift in goody bag for Wisma Bling Lustre Anniversary & Fame Kids Launching , 8th May 2011. 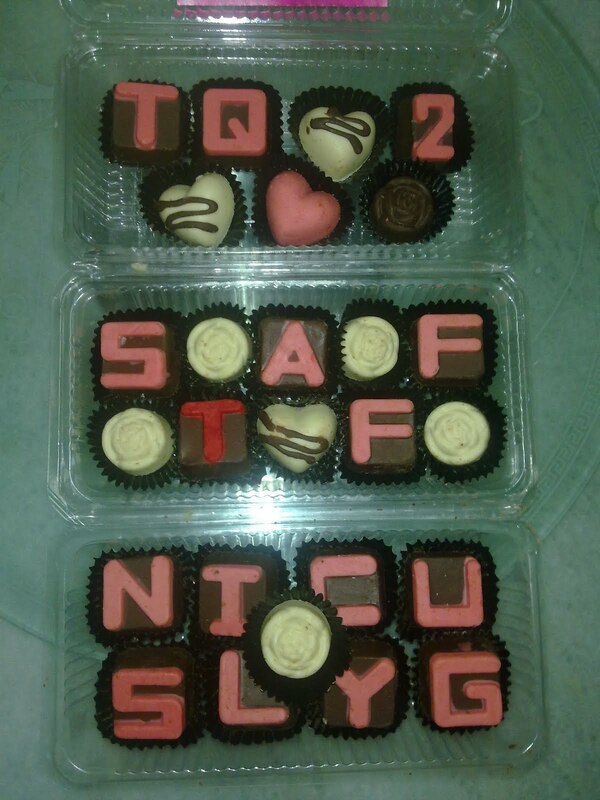 Update on 30 April 2011: Finally I managed to hand over this box of chocolate to my dearest super duper lady (after travelling almost 2 hours huhuhu ) , Cik Mama Fiza although I was late for the appointment :D.. sorry darl.. but really deeply appreciate your great help. Trillion thanks to your generosity ! Lollichoc XOXO as great as LOVE design. Colorful and easy to handle. 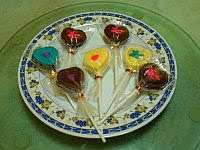 Colorful lollichoc in HEART design for your kiddies. 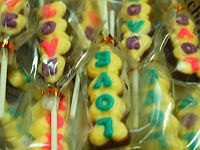 Choose your own color and flavor to surprise them ! Suitable in any occasions as a door gift. 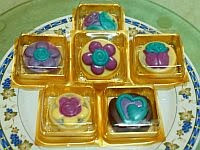 A box of plain chocolate with various design for my lovely sister on her 51st birthday recently. 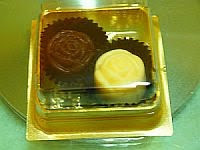 Yes, this month is a birthday month for most of us (^_^) Sorry, couldn't see the chocolate inside. But she just love it. May happiness is always yours. You definitely can't resist the taste of the Oreo Choc with oreo biscuit filling inside. It just mouth watering. You can also customized the design to be on your picture in the front and filling of your choice. 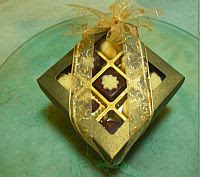 I presented this lovely chocolate to my dear pretty sis in law for her daughter's birthday. Happy Birthday, Damia. You are 2 years old now ! May Allah bless you always. 4. For boxes, wrapper, other accessories, extra charges will be included.